If fruits droops down like the bigger one in this picture (face-planting towards the ground), does it help to elevate the cake a bit to give it room to grow? Or is it best to leave them alone to do their thing? Just want to make sure i’m giving it max growth potential in that regard. It’s my first time grow. First flush, day 4 in Sgfc. That one that has the cap opened and bout ready to touch the perlite is ready to be picked. Will probably shoot some spores by morning. Move the light source above and the will grow more upright. Over all it's not a big deal either way unless you don't like chewing on gritty perlite. OP... I'm not trying to jack the thread but have a question LOL... hope you don't mind. You say it will probably shoot spores by morning.... Do you want to pick the ones that are ready thought the grow? 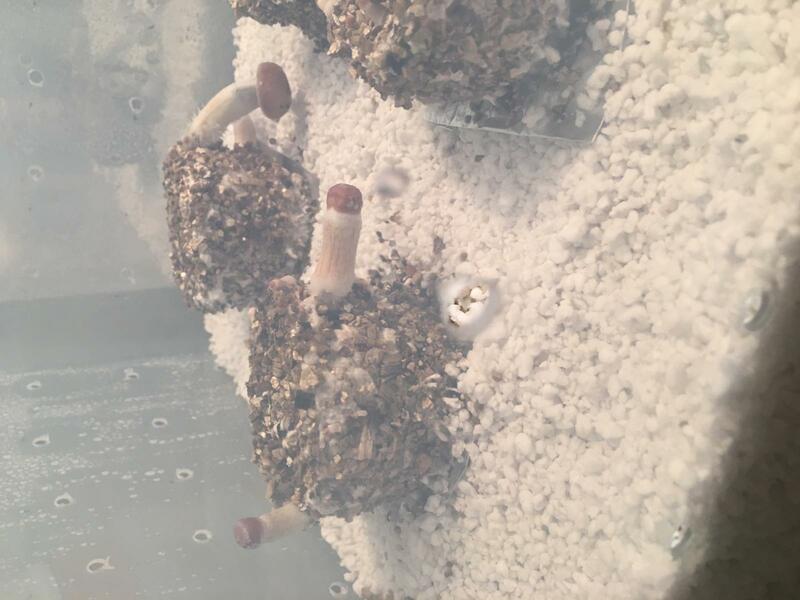 Is shooting spores bad and how can you tell they are ready to pick? I will as as I am unsure.... if it shoots spores would that not be ok as you could get more mushroom growth? Edited by JustinAskin, 08 November 2018 - 06:39 PM. 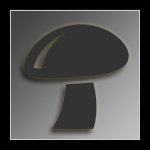 and you will not see much more grow as in weight or potency.It may appear that it is still growing because the cap will expand to get maximum spore dispersal. not just with the grower but also with different strains. Not all strains follow these guidelines, for example when growing PE the veil can break early and the mushroom will continue to grow and accumulate mass. There are a few other factors that can cause the veil to break prematurely, so its just a general guideline to harvest as close to as possible to the veil breaking. LOL.... OK there was allot of information in your post... LOVE IT! I have allot to learn. Thank you for your reply! It has brought up a couple more questions, which I will start a new thread so I don't continue hijack this one any more. Hey coors thanks for that reply. The light source was the issue for my drooping fruits. I have since moved a stronger light source directly above for good results. That original drooper did a face plant into the perilite but thank you for the suggestion to harvest it soon, makes sense.